Nico, congratulations, the first time in your career you’ve won two races on the bounce but more importantly three consecutive races here in Monaco. The last man to do that was the great Ayrton Senna. That was quite a race. Nico ROSBERG: Yeah, for sure, very, very happy of course. But I know also that it was just a lot of luck today. Lewis drove brilliantly and he would have also deserved the win for sure. But that’s the way it is in racing and definitely I’m extremely happy and going to make the most of it. Yeah, you spent most of your time looking in your rear view mirrors because Sebastian was coming at you and Lewis was down the road. Can you explain to us why your car wasn’t brought in for a pit stop and Lewis’ was under the safety car? NR: I have no idea, sorry. As always, we’re in the car and it’s very difficult to judge what decisions are being made and things like that. Of course it was extremely difficult to do the restart with those hard tyres and them being very cold but it worked out and I’m ecstatic. Sebastian, well, suddenly you were looking for and fighting for a victory when you had been struggling with Nico for the whole race. You must be pretty satisfied; it was a strong race for you. Sebastian VETTEL: Yeah, obviously a bit of a turnaround in the end, which was a bit of a surprise, but we were there in the moment when it mattered obviously we were able just to pip Lewis when we he came out of the pits. I think it was pretty close but I was pretty confident I was ahead. Yeah, I think we tried all race to put pressure on Nico but I think, first of all, he had the speed to respond and second, when we decided to pit we were probably a little bit too far back and the undercut didn’t really work. Nevertheless, P2 is a great result for the team, thanks for the hard work. It’s good to be always there and I think we were a lot closer in the race than in qualifying so hopefully we can keep up this trend. And you were saying on the radio ‘look, this is like swimming with weights on my legs and feet’. You were expecting a lot of trouble on the restart with cold tyres? SV: It was, it was. The thing is these tyres are not made for cooling down and then going again. I think Nico and myself we both kind of saved the tyre; we knew that it was difficult to catch Lewis and difficult to really attack each other. So I think we didn’t get it all out of the tyre before, which helped at the restart but it was incredibly difficult to warm the tyres up and obviously Lewis behind with a fresh set of supersoft was in much better shape. But I think for all of us it was, you know, like being handicapped for two or three laps. After it was starting to be OK, but Nico drove very well after the restart. No chance for me to stay close, so I had to make sure that I keep the guys behind. And the man you had to keep behind was Lewis Hamilton. I’m sure I speak for millions of people when I say I’m sorry for you Lewis, that didn’t work out today. Lewis HAMILTON: Yeah, it was not the easiest of races. But, you know, the team has done amazing all year long and we win and we lose together, so I’m just grateful for the job that I did and congratulations to Nico and Sebastian. Can you tell us why your car was brought in? You had quite a big gap didn’t you and then the safety car picked you up. Your car was pitted and your team-mate’s wasn’t. LH: I’m sure we’ll sit down afterwards and try and think of ways we can improve. How bad is it? How bad do you feel now? 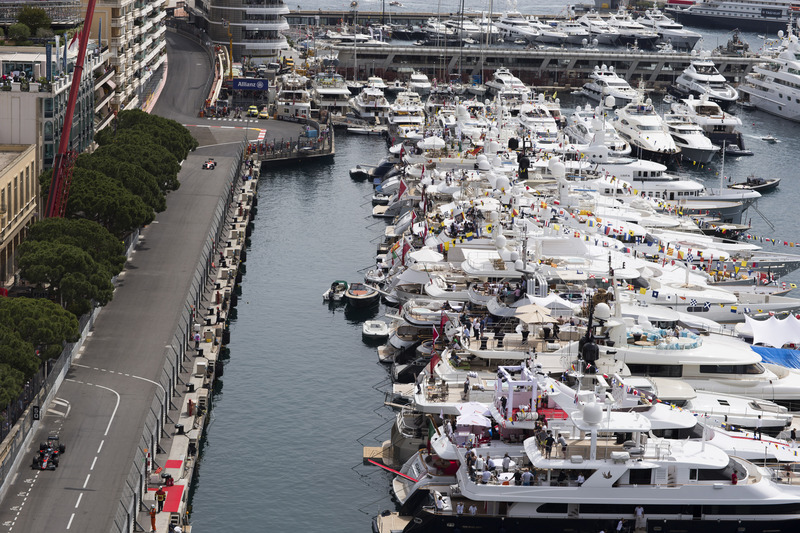 You’ve lost the Monaco Grand Prix, it has been taken away from you. What’s going through your mind? LH: Come back to win the next one. Some positive thoughts there from Lewis Hamilton. Finally, back to the man who won the race. You must love safety cars now and that’s helped you in the world championship and very much game on. NR: Yeah, but at the same time, you know, I know that I got lucky today. I’ll just enjoy the moment now but I need to work hard because Lewis was a little bit stronger this weekend, so I need to work hard for the next race for sure. Q: Nico, many congratulations, your third consecutive Monaco Grand Prix victory, a feat equalled before by Prost, Senna and Graham Hill, so you join a very elite group in having done that. I guess you take them how they come – but did you discuss a late pitstop behind the Virtual Safety Car that became then, obviously, a Safety Car? And how do you feel for Lewis now? NR: For sure that’s the best words to describe it: take it as it comes, y’know? So, just very, very happy to have won the race. On the other side though, of course, Lewis was stronger this weekend. He deserved it for sure and I got lucky in the end there. I don’t even know what happened. But, yeah, ecstatic about that anyways. No, we didn’t discuss pitting in the end. It was quite treacherous out there with those hard tyres because they were really stone cold. They were telling me the temperatures, we’ve never ever had those temperatures before I think in those tyres – but did the best I could and managed to bring them back up and push, so that worked out well in the end. Q: Sebastian, a couple of talking points for you really. Obviously you tried the undercut on Nico, it didn’t quite work out. Maybe you could tell us a bit about that. And also, behind the Safety Car you were on the radio saying that, exactly what Nico’s just said, that you were really concerned about how low the tyre temperatures were getting. SV: First of all, for the undercut, it was a shame. I had to lap a Manor, I think, and I lost about one second, otherwise I think we would have been closer to Nico. Whether it would have been enough, I don’t know. Probably not. Obviously we were trying everything to jump him but they reacted straight away. My approach to the pitbox, as well, was not spot on, so I lost a bit of time there as well. So, not perfect in terms of lining everything up. And then at the end there, it was quite clear on the radio it was… I mean the rules are the rules but it was ridiculous how slow we were going. Trying to let the lapped cars go. In the end they are, I don’t know, racing nowhere when we restart because they’re just 30 seconds down the road but nowhere near the back of the field. So, I don’t know what’s the point. And then obviously we go so slow the tyres cool down a lot. And for Nico, myself, we were on the harder compound. Extremely difficult to get them up to temperature and it’s just… yeah, you need to understand the tyres are not made for that. That’s why its extremely slippery and obviously I was under huge pressure at the restart. I think Nico was a bit more comfortable with the warm-up but for us it took two, three laps just to bring them up again. It was very much on the limit I would say. Q: Lewis, coming to you, obviously we all understand how difficult this must be for you. The crowd clearly sympathised with you, you got a huge cheer when you collected your trophy. Can you just tell us what part, if any, you played in the decision to make that late pitstop and how that unfolded. LH: To be honest it happened so fast I don’t really remember but it was a good race up until then and, still, we got good points there. Q: Did you think you had it won, obviously, at that point? Did you come into the pits full of confidence that you were doing the right thing at that time? LH: As I said, we will probably analyse and try to figure out what we did wrong – but we’ll collectively – together as a team – try to rectify it in the future. Q: (Ian Parkes – Autosport) Question for Lewis. First of all, can you gives us just some idea as to how you’re feeling right now. Obviously we see you’re very low, very down but just express in your own words how you’re feeling. And, secondly, when that Safety Car situation unfolded, did you not at all question whether to come in or not? 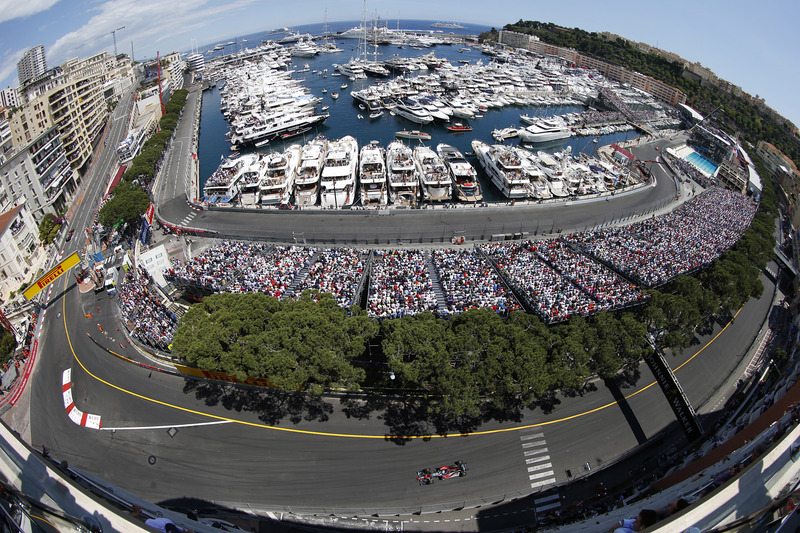 Bearing in mind, regardless of the situation with the tyres, track position is ultimately king in Monaco. LH: I can’t really express the way I feel at the moment. So I won’t even attempt to. You rely on the team. I saw a screen, it looked like the team was out and I thought that Nico had pitted. Obviously I couldn’t see the guys behind so I thought the guys behind were pitting. The team said to stay out, I said “these tyres are going to drop in temperature,” and what I was assuming was that these guys would be on Options and I was on the harder tyre. So, they said to pit. Without thinking I came in with full confidence that the others had done the same. Q: (Barna Zsoldos – Nemzeti Sport) Lewis, after what happened today, will you have 100 per cent confidence in the team’s strategy decisions in the future? Q: (Michael Schmidt – Auto, Motor und Sport) Lewis, can you imagine that maybe the strange situation of first having a virtual safety car and then all of a sudden a safety car could have added or contributed to the confusion? LH: I’ve no idea. I was just driving. Q: (Dan Knutson – Auto Action and Speedsport Magazines) Nico and Seb, this has probably happened to you in your past careers as well. Can you remember a time when you had the race won and it all went bad? NR: Not now, immediately, no but for sure it is an awful feeling, definitely, but that’s for sure, yeah. SV: Well, I think it’s normal that you have ups and downs. Probably the lowest low was in 2010 in Korea when I was in the lead and the engine blew up. Fernando, at the time, the biggest rival, three races to the end of the championship, won the race. That was pretty bad. We didn’t finish at all. I would have been happy at that time to finish third but I think today the circumstances for Lewis were totally different. Q: (Livio Oricchio – Globosport.com) Lewis, did you know the gap between you and Nico at that moment? LH: Before the safety car came out I knew the gap. It didn’t worry me when we got behind the safety car. I didn’t know once we got behind the safety car. Q: (Livio Oricchio – Globosport.com) Sebastian, what did you think when you were climbing up to the Casino and you had Lewis side-by-side with you? SV: Well, it was very close. I had something very similar back in 2008 here also, coming out of the pits with Jarno Trulli at the time. I was pretty confident that I was just ahead – thanks for the design office for the long nose, it helped today. And obviously… you’re quite emotional, I gestured to Lewis straight away to say I was ahead, you go back, but that’s the heat of the moment. I think we both waited for confirmation who ultimately was ahead. I think at the time we probably both thought we were in front. Q: Lewis, do you want to share your side of that story, coming out of the pits side-by-side with Seb after the pit stop? Q: (Ottavio Daviddi – Tuttosport) Sebastian, your race pace today was good, I think. Do you think that the Barcelona problem has been solved or it was due to the particularities of the track here in Monte Carlo? SV: Well, I think it’s natural that the gaps are smaller on this track. It’s a shorter track so that’s normal. I think in the race we were a lot closer than yesterday. Obviously there’s a lot of things that we still need to learn and understand. Taking the restart is similar more or less to what caught us out yesterday, so that’s something we need to work on quickly to try and understand, but in the race itself I think for the majority of the race we were on a very good pace. Obviously I knew that it was pointless really to put Nico under pressure too much, because I would just burn my tyres. You don’t know what might be coming at the end, a safety car etc, and at the end there was a safety car. There was a point when I was driving around thinking ‘we can’t be at Monaco without a safety car’ and then I think four or five laps later there was a safety car. Yuh, you obviously have to prepare a bit for the unknown, but I think the pace was good today. I was happy. Q: (Michael Schmidt – Auto, Motor und Sport) Sebastian, did you discuss with your engineers to go on supersoft for the last few laps when the safety car was out? SV: Not for the safety car. Obviously depending on the gaps behind to the car behind, we spoke about some things, some options, should the safety car come at various times but at that time it was clear that we stay out. Q: (Ian Parkes – Autosport) Lewis, you’ve suffered loads before, I can think of Monaco and Belgium last year, obviously, to name but two. When you’re involved in situations like this, when you walk away at the end of the Grand Prix, do you still think ‘well, I’ve got a ten point lead, I’ve still got the best car in the field?’ Are they the kind of positives that you have to cling to? LH: Sure, yeah. At the moment I can’t really think of anything else at the moment. Yeah, this is a race that has been very special… close to my heart for many years and so it was very important, it was a great feeling leading the race. I had so much pace as I have for many many years, including last year. I could have easily had that gap last year as well. Today, I didn’t really have to push too much, I could have doubled the lead if I needed it so on the one hand it’s a good thing that I had that pace and I’m grateful for that. You live to fight another day. Q: (Heikki Kulta- Turun Sanomat) Nico, how does it feel to win two races in a row for the first time in your career? NR: It’s not something I think about at all. I’m just thinking about today. I told you the emotions from today and that’s it, sorry, so I don’t think about two races in a row or three times here in Monaco. It’s not something that’s at the top of my mind. Q: (Luigi Perna – La Gazzetta dello Sport) Seb, there is a big difference in the performance of the car between qualifying and race; have you had some problems with tyre temperatures and the performance of the tyres in qualifying? In your opinion, is that due to the particular nature of your car or do you just have to adjust something in your set-up to try to improve in the next races? SV: Well, first of all, you are making a good point. If I had the answer than I would go down straight away and tell everyone what to do, so obviously it’s something we need to try and understand, whether there is something we can change with the approach we are taking with the set-up or there’s something we need to change with the approach of how the car is made. As I said, obviously there’s a key to understanding it, because some part of the race is decided on Saturday and if we struggle in cooler conditions it can happen once, twice but we need to make sure we get on top of it, so if it keeps happening it’s not an excuse, it’s a mistake and it’s bad for us so we need to work hard and make sure we fix it. Why didn’t we have any grid girls today. What was that?